Flawless - Deep red violet in a matte finish. It legit woke up like this. Bichette - Deep red wine in a matte finish. Boys will be fawn-ing over you. LBB - Rich plum wine in a matte finish. I Heart This - Red based fuchsia in a matte finish. We just f*cking love it. I f*cking love it too. Brink - A warm dusty taupe in a matte finish. So Rachel. Lippie stix are lip stick love. The colors are super pigmented beauty's. The matte formula is velvety and intense. It does have the dry factor. Not like Mojave Desert so but it is noticeable, swipe a bit of balm on underneath and you're good to go. I imagine the satin and glossy finishes will be more moisturizing, I plan on trying some of those next. I had great wear time with these, lasting 4+ hours and still going strong. 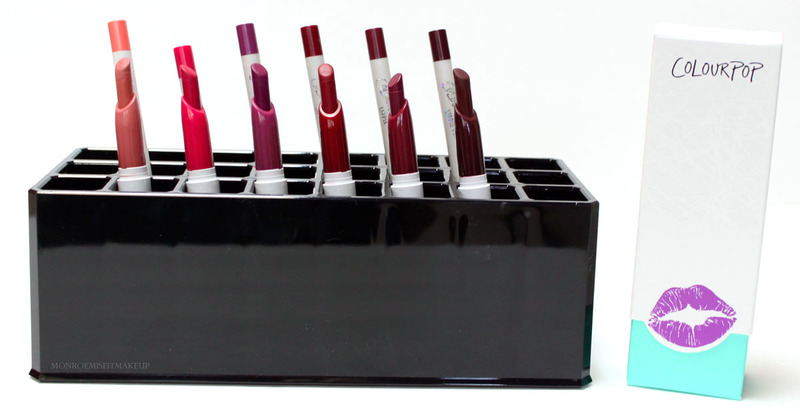 The slim stick turn up style is so convenient for whipping out of your purse for a touch up and makes them easy to store. Just be careful not to twist them up too much, I had a casualty with Flawless breaking at the base. My favorite of the shades I bought were I <3 this, a gorgeous raspberry and Bichette a rich blue based dark blood red. Brink will give you that coveted matte brown 90's lip that is so trendy right now. 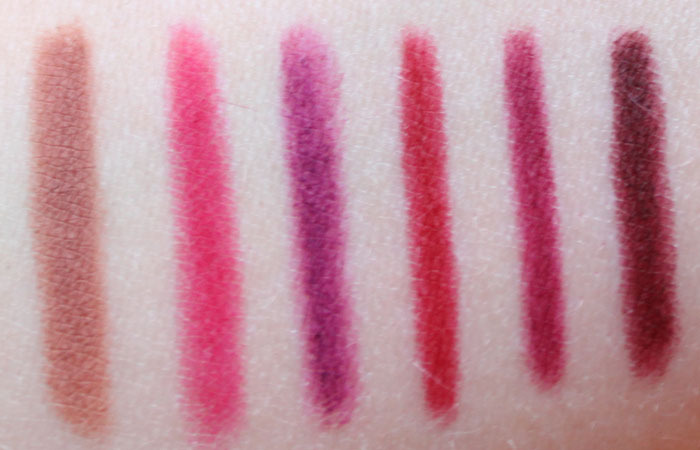 As much as the lippie stix rocked my lips off, I actually liked the lip pencils even better! They have a smooth gel texture that glides on easily and are very long lasting. That slight waxiness really holds your lipstick in place and in line. 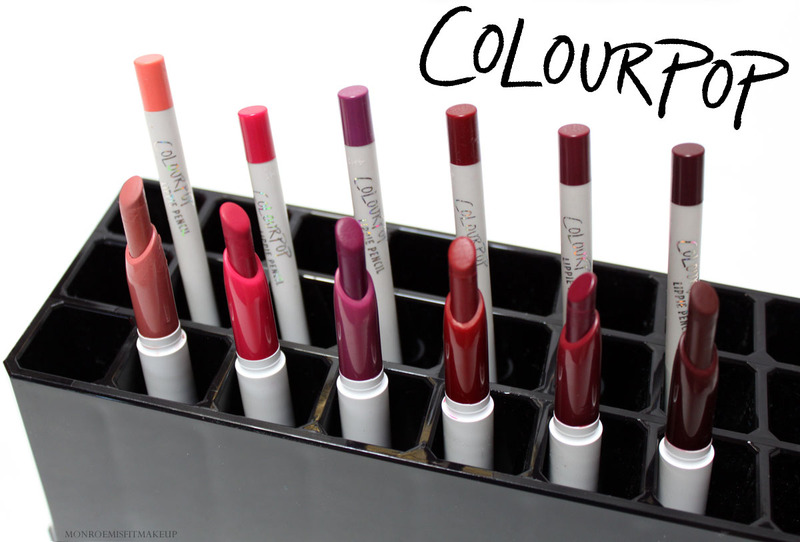 Formula-wise they are a lot like Make Up Forever Aqua Lip Pencils, just at a fraction of the cost. Only thing I'd change is the white pencil looks messy with use and I wish they were retractable or included an in cap sharpener. Other than that, I expect these to be my lip pencil of choice from now on. 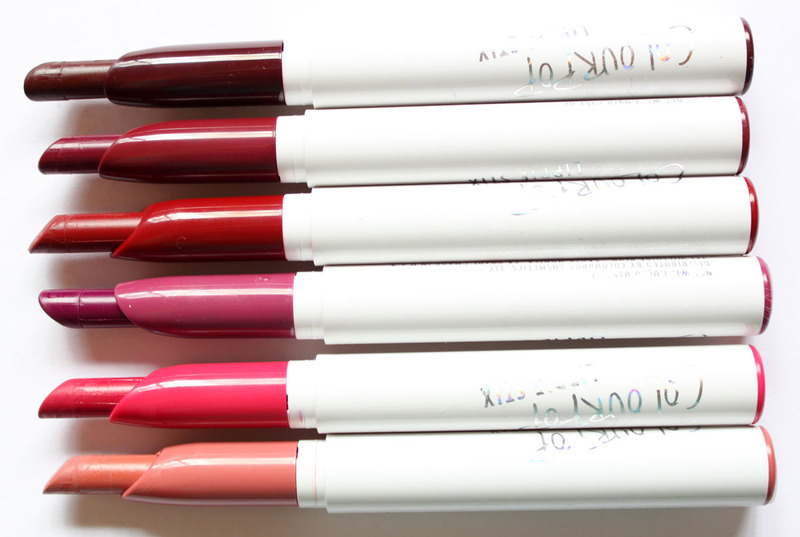 The coordinating lip pencil shades are so versatile. I put them with so many of my other brand of lipsticks. LBB I've used so much I almost need to replace it already. It is the perfect with Hot Pink Lipstick and Bichette for Red's. 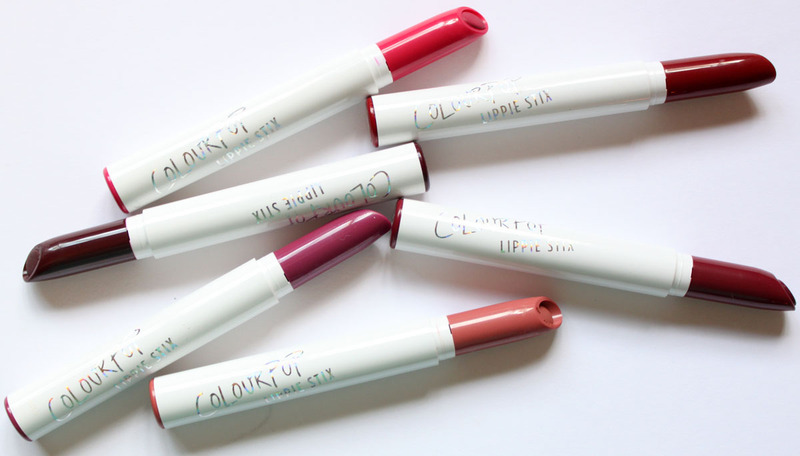 Colourpop's foray in to lips is just as impressive as what they've done for the eyes. Excellent quality, cutting edge shades, and crazy affordable. I'll be be making another order for some Spring colors soon maybe grabbing up a few blushes too. Check them out at colourpop.com, free shipping in the US over $30!